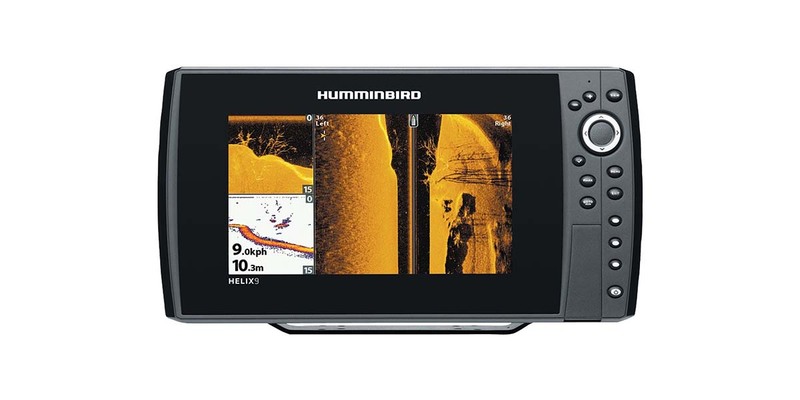 HELIX 9 si GPS is a fish finder of Humminbird introduced in 2015 after the disconnection of the 900 series. Helix 9 SI GPS is meant to replace the old version Humminbird 999 HD SI. This new unit is highly advanced compared to the older versions. New improvements of the unit include wireless control, wider screen, faster processor and many other interesting features. Color TFT 65,000, the pixel resolution of 800Hx480V, the aspect ratio of 16:9, the screen size of 9” diagonal. Allows down imaging, side imaging and most importantly it’s a dual beam with switch fire. 150 feet for both down imaging and side imaging. 1500 feet for dual beam plus. 455 kHz/ narrow, medium and a cone that is very wide and fan-shaped for the down imaging. Side imaging capabilities of the unit have 455kHz/84 degrees (x2), 480 ft, for the side to side coverage. Compatibility of the unit with other charts is another important advantage of the unit. Covers and the Gimbal amount are included in the unit. 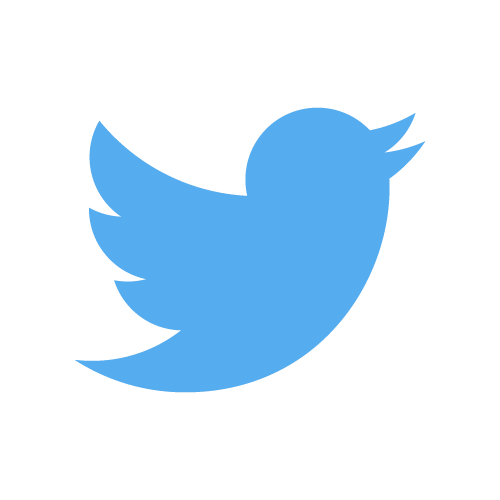 Does not have CHIRP sonar. This unit has several remarkable features that are very much different from the features in Humminbird 999ci HD si unit. To begin with, Helix 9 SI is twenty-five percent faster than the previous model. Images are updated very fast and easily too, all thanks to an improved processor equipped with the unit. This advantage goes for all Helix 9 series. Helix 9 SI has a high-density 9-inch screen with a diagonal display. This is a development from the 900 series which had an 8-inch screen display. The screen has 16: 9 ratios which are one of the best all over the globe. A screen resolution of 800H x 480V pixel is another quality of the unit. It also has a color spectrum of 65,000 and a backlight of LED. The screen is quite comfortable and allows you to go fishing anytime you feel fit. It’s designed to allow reading at night or in harsh sunlight. The large screen display gives you full clarity enabling you to differentiate between fish and structure. The unit is IPx7 waterproof which is very safe and you don’t have to be worried about it spoiling in case it falls in water or when it’s exposed to water splashes. Helix 9 SI offers better networking capability compared to other older versions. It has the networking features that enable this to happen. Some of these features include the NMEA 2000 and the NMEA 0183 ports. It is also Ethernet activated which allows the Ethernet connectivity thereby offering great networking capabilities. Therefore can be easily integrated into a boat grid that is already assembled. Helix 9 SI allows you record and saves images of your fishing adventures. It enables you to use chips and custom charts. All these benefits are made possible by an SD card slots in the unit. A precision Humminbird GPS/WAAS is an equipped in Helix 9 SI unit. The GPS offers accurate and faster locks that are within 2.5m. It has an internal memory that makes it fully and capable of storing 2,750 up to waypoints. The GPS has other functions like trail recording. When using the unit you can be able to make trial recordings and save 50 trails at the maximum. Routes can be converted from trails but the units can allow you to add waypoints to the trails if you think it’s necessary. Helix 9 SI has a contour XD system that is designed within the unit. It has a charts package that is highly professional and covers a lot more than what is included in the charts of smaller units. The charts cover more than 3000 maps of the U.S lakes with the channels, the depth, the contour lines, boat accesses, major roads, markers, and interstates. This is an overwhelming information access from the unit makes your experience interesting by reducing inconveniences of going to a place without any fish and fishing activity. It’s quite discouraging going for fishing and heading back home with empty hands. That ends up being a great waste of time and effort. Live functions such as auto charts are covered by the unit. If you ever feel the need to mark a spot say maybe a section of water then this unit is the perfect device for that. Auto charts enable you to do all this and also gives you accurate contours of that point you have marked. Data from the sonar side imaging and maps developed with live auto charts can be overlaid with other charts like avionics or lake master. This is done to produce new detail. What this simply means is that you can devise a course for a particular contour depth. Once you do this the i-Pilot link will communicate your Minn Kota to accompany that specific contour. This is an interesting function especially when you want to go for trolling. Helix 9 SI comes with a transducer as one complete package so you don’t have to incur extra expenses getting one. The unit has a similar transducer as the one in Helix 5 and 7 SI. XNT 9 SI 180 T is the transducer used in the unit. The transducer is designed to support all sonar types provided by the unit. What this actually means is that the transducer is its DI, 2D and SI capable. Again the transducer also has a temperature sensor. The cable is 20 ft long. Down imaging and side imaging of the unit is only intended for use in freshwater bodies. These functions are not fully capable they can only operate at depths of 150 ft at the very maximum. 2D sonar allows you to view up to 1,500 ft depth and it can offer service in both fresh and salty waters. The unit has an impressive sonar functionality. Aside to side ground of 480 ft and 240 ft on each side can be covered by the sonar side imaging capability. The unit has an angle of around 75 degrees for the down beam which is bigger than the one in 2D sonar. Both the SI and The Di beams are thin, fan-shaped, and resemble the scanner’s beam. The 455 frequency is used by the two types of sonar. The sonar beams are the best for use when you what to analyses the structures underneath giving a clear view that show precisely where the fish is hiding in deep waters. Fish are indicated in the small SI and DI sonar as some white dots. The unit uses a sonar plus the Humminbird dual beam which comes with specific functions and several advantages. Two conical beams operating at different frequencies are used by the unit. 20 degrees is obtained for 200 kHz which gives results that are properly focused. For 83 kHz the beam is 60 degrees which offer more coverage but very little accuracy. Also, the beams can be merged together or be separately observed on the screen. Or they can be viewed in other combinations with the GPS. The 2D sonar is more effective in showing and detecting fish compared with the SI or DI. Sonar has recording functionalities. You fishing activities and save in the SD memory. You can watch your recordings and even rewind in order to highlight or mark waypoints. This function is very important when fishing and could save you a lot of stress and trouble. 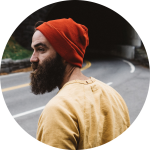 This feature comes in handy as it can show you the waypoints you marked along the way and you can use them to find your way back. The unit also has snapshot and frame functions. Contour Mode – This function is popular to the sonar side imaging. The side imaging view is cleared of water by the contour function when it’s set On. 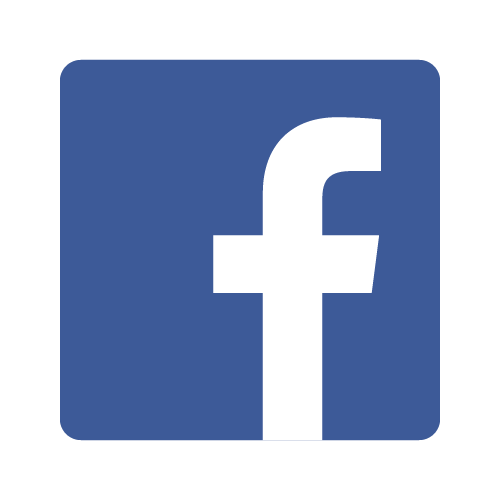 This function displays or shows an image of the two connected sides. 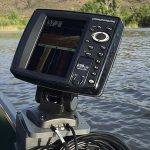 Switch fire, selective fish ID +, bottom lock, real-time sonar and the split zoom are other incredible features incorporated in the sonar. The fish arches are real-time images of actual fish by the great function of the fish ID+. This gives you a clear idea of which returns are fish and the ones that are not fish. The latest echo of the sonar is displayed by the RTS commonly known as the real-time sonar. Split zoom which is another function of the sonar enables you to enlarge images of a particular viewpoint and reduce them. Bottom lock is a very important function mostly used for identifying targets beneath the water. Switchfire is a sonar function that offers filter capabilities that allow fast access to on-screen sonar information. The switch fire reduces clutter on the screen the could distract you when fishing. 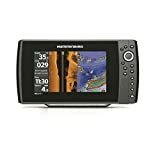 Humminbird Helix 9 SI GPS is one of the best units in the market as far as fishing technology is concerned. 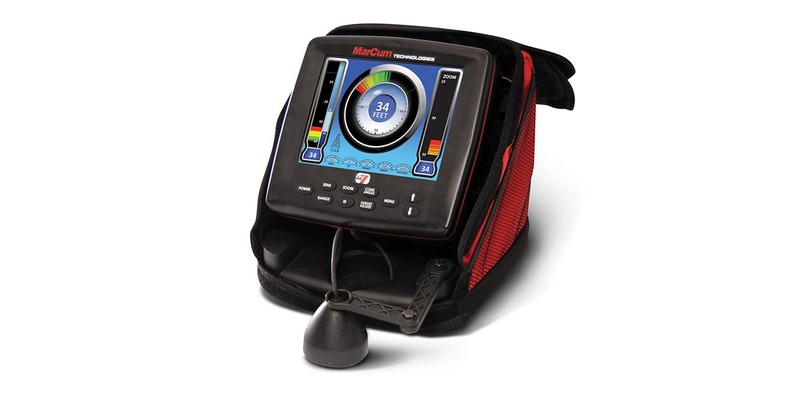 It facilitates full access to navigational and sonar functions while delivering convenient and high-quality results.